It's now been over 2 months since I had the Nexplanon implant fitted, so I thought I should give you a little update on how the last month has been. I'm still getting headaches but they're not daily now so they're much easier to deal with. My breasts now feel back to normal. My skin has calmed down again and I'm just getting a few extra spots when it's coming up to my period - but that's nothing I can't deal with. And, my libido is finally back - though it got worse before it got better. At one point, even Danny touching me on the arm made me want to burst in to tears! As for everything else... Well, it's been a bit of a rollercoaster. I'm still finding my moods a bit up in the air at times and I am still quite emotional, but I'm not feeling quite as angry at the flip of a coin as I was previously. They certainly start ramping up around my period time but, isn't that just normal!? One of the worst things that I've dealt with in this second month has definitely been the anxiety. As someone who's never really had a problem with it before, and only had mild bouts of it, this was on another level! It got to a point where I couldn't sleep at night and when I did eventually get to sleep, I was waking up constantly due to anxiety ridden dreams. It was really horrible. I didn't want to leave the house or do anything really. I just wanted to cry constantly and... It's really difficult to describe... It was all so ridiculous! My head was making up the silliest scenarios and I felt like the entire world hated me. Luckily though, I knew what was happening and I knew it was my hormones causing it. I just couldn't stop it. I eventually managed to wade my way out of the muddy waters, but, it took some effort. I started getting myself out the house everyday, even when I didn't feel like it, kept myself busy and played the denial card with my own mind really. Thankfully, it seems to have cleared now. I've had treatments cause depression before (shout out to Zolodex! ), but anxiety was a new one to me as a side effect. I felt it coming on within the first few weeks of having the implant fitted, so I'm hoping it was just that sudden rush of hormones that caused it and now it's settled. But, yeah, that one took me by surprise. The bleeding has been non-stop now since mid-September and I am fed up of it. It's not heavy, in fact, some days it's barely anything. But, it does get ever so slightly heavier when it comes to my period. At least, I'm guessing that's it's my period. But, the pain doesn't really correlate with the bleeding as it would do usually. On some of the worst pain days I've had, I've barely even spotted. And the pain some days is so bad and it comes on out of no where. If you follow me on Instagram then you might have seen that I had a really tough time a few weeks ago when, suddenly, everything flared up. I was in AGONY. In fact, I've not felt that kind of pain in years now. I'm assuming it was because my actual period had started - not that I can really tell with the constant bleeding though. 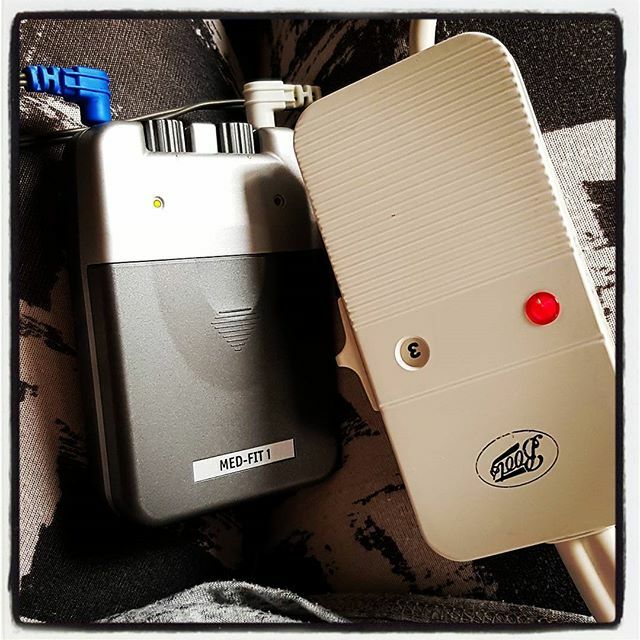 At one point, I had my TENS machine on my tummy, a heat pad on my back and I'd taken all of my tablets, and I was still in so much pain I didn't know what to do with myself. I just lay on the floor sobbing. Poor little Hunter kept coming over to check on me; bless him. I hate that he has to see me like this. I also had the most horrendous chest, neck, shoulder and arm pain from my diaphragm. I couldn't catch my breath properly because of the pain in my chest. And the dizziness: every single time I moved, I'd almost topple over again. Honestly, words don't even do it justice of how terrible I felt. It lasted a good while and when I eventually felt well enough to leave the house, I almost passed out as soon as we got in to town. It's actually really scared me. I do not want to be going through this every month. I know endometriosis is unpredictable but it's even worse now I'm on this implant. I don't know whether I'm coming or going with it. I had a doctors appointment yesterday about it (you might have seen on Instagram) but I'll let you all know about that in next months implant update... I'm a bit late writing this one! I did also write a column on this time with the implant, so you can have a read of that here, if you wish. So, it's not been a great month and I'm having a pretty rubbish time with it to be honest. I'm just hoping that this thing either starts working properly soon or I can get it out of me for good.